Training courses for Best Practice in environmental and tourism markets to help promote Sustainability of the environment, species and eco-systems. Specific courses are available to meet specific operational statutory requirements. Training Courses for individuals and company employees are of a technical nature and job specific. The Practical Component is recommended, but needs completion under direction of a trainer or supervisor. OHS is a key requirement in any situation. 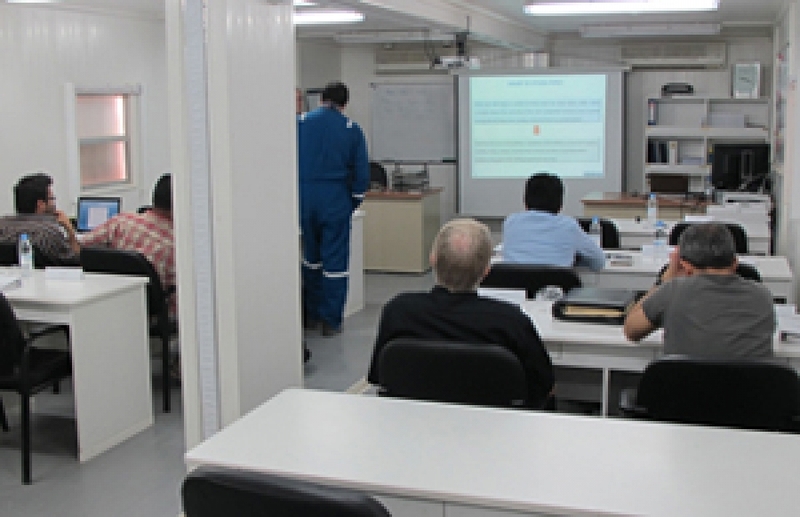 Training courses are available for a variety of topics for individual and corporate use. Useful for tool box talks, safety and project meetings as well. Awareness and training courses of interest to individuals and employees in the hospitality and tourism industry. Provide useful information on environmental and species-specific subjects. Power and Success Only Comes with Knowledge and Understanding! E-learning is the use of electronic media and information, together with communication technologies, in providing education. The Comet Training website uses e-learning, which is a combination of training material in electronic format and video, audio, animation, pictures and other aids where appropriate, using the Internet to deliver it to the Student. We can also negotiate with large corporations to “purchase” course material to run on their own internal servers. Courses are grouped under different Categories, and this is repeated in the LMS (Learning Management System) through which the courses run. Where appropriate video has been used as a most effective learning method. Those with low bandwidth may have some difficulties with video streaming – the best is to start the video and then leave it to load for several minutes before playing. Costs are shown per student either on a per course basis, where all modules are necessary to achieve learning from the course material, or on a course module basis. The reason for costing on a course module basis is that many modules are useful as stand-alone subjects, without doing the entire course. For organizations requiring several courses (or modules), significant discounts are available, as well as for those requiring several students to enrol on a course or courses. In these cases please contact us for a quotations, specifying the approximate number of students and which courses are of interest. Returning to a Course - If already registered for a course, or if needing to return to complete, redo or revise a course, it is not necessary to search through the website for the access link - simply click on the Course Login button above, and you will be taken to the LMS Login Page. From there you can navigate to your course. Most Corporations and Businesses have to train their staff in order to keep competitive in a technologically changing and evolving marketplace. Employee satisfaction and competence comes partly through providing an ongoing stimulus of training and empowerment of the individual in the workplace. In addition, we no longer tolerate high incident and accident rates, so it is essential that our workforce is competent and learn to work safely and efficiently. A great deal of the training process is building on the foundation of common sense and experience. Unfortunately, the global degradation of the primary education systems means that new entrants to the workplace, not only lack experience, but also lack some of the necessary basic life skills and concepts on which to build further development. Training, by necessity, is thus becoming more important, to ensure the workforce can carry out the work efficiently and competently to justify their increasing costs of employment. Training using lecturers or trainers has become prohibitively expensive, and often not feasible. A lot of Awareness Training is sometimes necessary before conducting actual focused training, and the combination of achieving these means hours of time, effort and cost. E-learning will not solve it all, as the interaction with a subject matter expert (SME) is still required. However, e-learning training and awareness as offered by Comet.Training goes a very long way of uplifting basic knowledge and understanding of the learner, so that when face to face sessions with SME's can occur, it is more efficient and more effective. Training and Awareness Courses offered here are cost effective and have no time limit - once registered, the learner can take as long as necessary to complete the course, repeat it over and over and do it in private without being embarassed about slow progress and/or inability to grasp concepts the first time. A Certificate of Completion is issued for most courses as evidence that the course was successfully completed. "Give a man a fish and he feeds for the day. Teach him to fish and he feeds for a lifetime!"